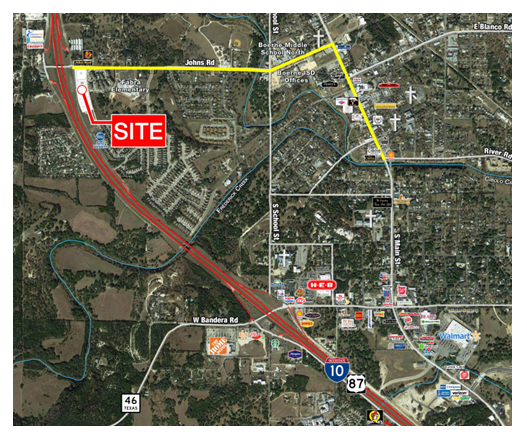 In one of the highest growth markets in the state, in the fast-growing San Antonio-area submarket of Boerne, a planned retail center—Johns Crossing—is to be located at the southeast corner of IH-10 and Johns Rd. The location offers freeway access and visibility in a trade area experiencing double-digit growth in population and households. Upon completion, the center developed by Weitzman on behalf of a joint venture anticipates to have approximately 30,000 sf of multi-tenant and freestanding retail space. Approximately 14,500 sf will be multi-tenant space, with the remainder of the square footage planned for freestanding concepts on pads along the IH-10 frontage. ​Check out San Antonio Retail Market Research​. And take a look at the Weitzman Market Report here!